The game of bloody murder in the golden age of Italian horror! 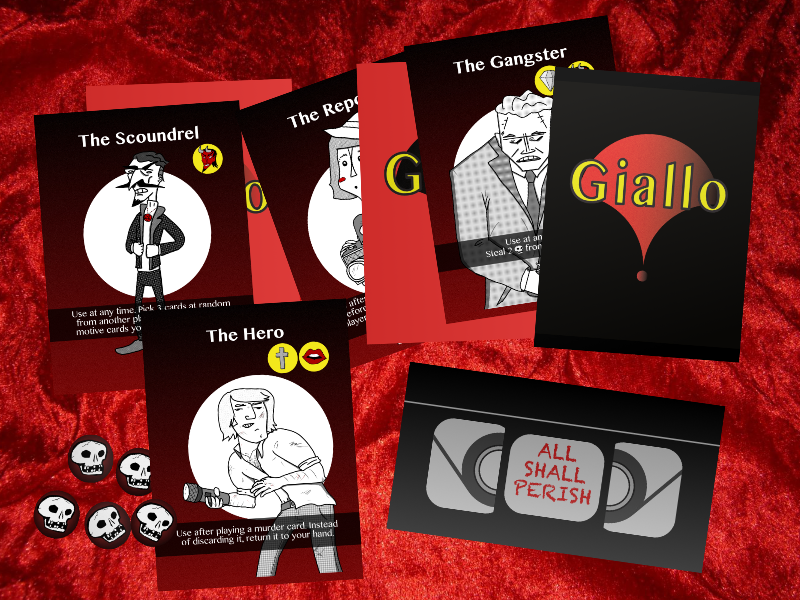 Become the villain of your own classic horror movie in Giallo! A card game for 2-4 players. Compete to be the most feared, stalk your victims and strike at just the right moment to generate the most screams from the audience. Are you the true villain of this horror movie?